Sana Saidykhan, an M.A. student in the History Department, was named a 2017 recipient of the Royal Air Maroc-African Studies Association Student Travel Award. The award includes airline tickets between the United States and any Royal Air Maroc (RAM) destination in Africa, and recognizes “outstanding scholarship by future African studies scholars.” Saidykhan is utilizing the award to facilitate his M.A. thesis research in Gambia between April 27th and June 14th, 2017. In Gambia, Saidykhan will conduct research utilizing three sets of primary sources. At the Research and Documentation Office at the Gambia National Council for Arts and Culture, he will make use of over 3,000 oral history recordings and transcripts. For this, he will draw on his fluency in several Gambian languages, including Wolof, Fula, and Mandinka. Saidykhan will aslo spend time at the National Records Office, Gambia’s national archives. There, he will make use of various British colonial records, including coresspondences, ordinances, and newspaper collections. Finally, Saidykhan plans on conducting a number of oral history interviews with Gambian elders to try and fill in the gaps left by the first two repositories. He plans to visit various communities and talk to individuals that witnessed some of the key events of concern to his research. Saidykhan’s M.A. thesis is a study of forest and wildlife conservation in the Gambia, examining the colonial conservation policies in general and how key institutional practices contributed to the destruction of the environment. 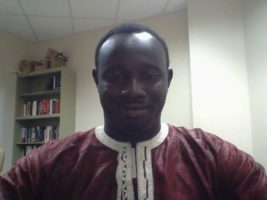 Drawing on the above primary sources, Saidykhan plans to analyze the policies and activities of two key institutions in Gambia’s colonial and environmental history: the Department of Agriculture and Forestry Management Commitee. He is particularly interested in highlighting how British agricultural policies and resource exploitation undermined traditional ways of forest and wildlife conservation. Saidykhan is writing his thesis under the supervision of Dr. Assan Sarr, Assistant Professor in the History Department.